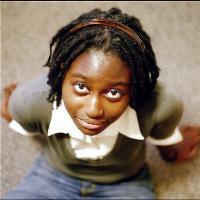 Helen Oyeyemi was born in Nigeria in 1984 and moved to London when she was four. She is an award winning author. Helen Oyeyemi was born in Nigeria in 1984 and moved to London when she was four. She is the author of the highly acclaimed novel The Icarus Girl,which she wrote while she was still at school, and two plays, Juniper's Whitening and Victimese, both published by Methuen. The Opposite House, published by Bloomsbury in May 2007 and in paperback in May 2008, is an unforgettable, haunting novel about a young jazz singer.